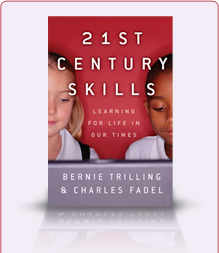 The video DVD (courtesy of the Pearson Foundation) included at the back of this book contains living examples of classrooms and educational programs that are successfully developing 21st century skills and knowledge. These video case studies were selected to highlight how teachers and students are tackling real-world problems, learning rigorous content knowledge, and building their proficiency in 21st century skills, all through engaging and challenging learning projects. The complete version of the School of the Future video documentary plus other videos in the CES Essential Visions series that showcase the learning programs and principles of a variety of Coalition schools can be ordered directly from CES.